Schoolteacher Harriet Stanton has always believed in happily ever after. Only, the one she thinks she wants forever with is newly married... just not to her. But when a mysterious stranger rescues Harriet from an accident, she discovers heroes can be found in the most unlikely places... Newspaper reporter Anthony “Ant” Gordon is a man on a mission. He’s determined to find the man who murdered his sister and kidnapped his young nephew, David. The one thing that almost stops him in his tracks? Saving lovely Harriet from a dangerous encounter. Harriet insists on repaying Ant by helping David recover from his ordeal. And David’s not the only one enchanted by the patient teacher... Ant has resolved to keep his eyes firmly focused on his business — and firmly off the woman hired to help his nephew. But now, with their lives suddenly on the line, they must decide whether to risk their hearts too. 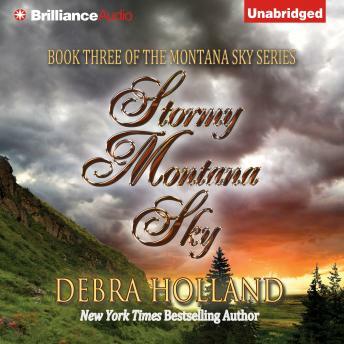 In New York Times bestseller Stormy Montana Sky, Debra Holland returns to the beloved small town of Sweetwater Springs, where love can heal the most wounded of hearts.